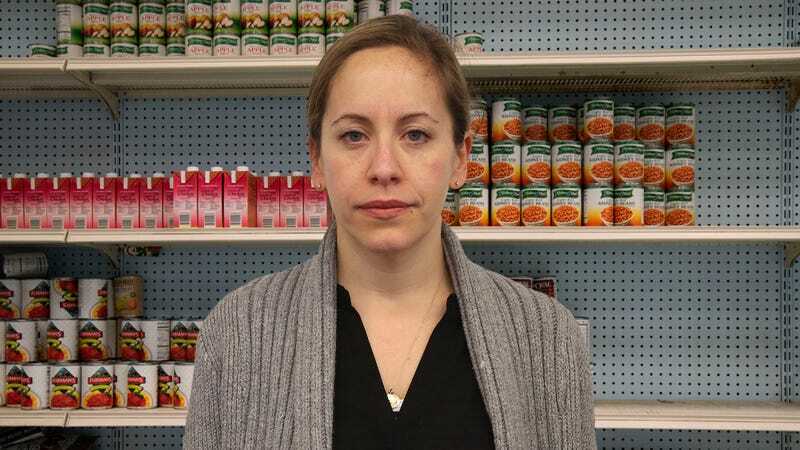 ROSEBURG, OR—Noting the wide variety of nonperishable items lining the shelves, furloughed government employee Sheena Enders, 38, confirmed Wednesday she was using some of the time off from her job with the U.S. Census Bureau to visit the local food pantry she had heard so much about. “I’ve driven past this place before, but this is the first time I’ve ever had the chance to try it,” said Enders, who has yet to receive a paycheck in 2019, adding that with her office closed she would have plenty of time to wait if there was a line to get in. “My friends from work keep suggesting I check it out. I guess some of them went there over the holidays. They warned me there might be a bit of a wait, but said there’s a good selection of items to choose from—pasta, canned soup, rice—even stuff I’ve never tried before, like powdered milk. I hope it lives up to the hype.” At press time, sources reported the gas to Enders’ apartment had been cut off and she had decided to treat herself to a day at the local emergency warming center.